Ready to get fitter and race faster? Scientific Triathlon is all about helping age-group triathletes train smarter and achieve their triathlon goals. 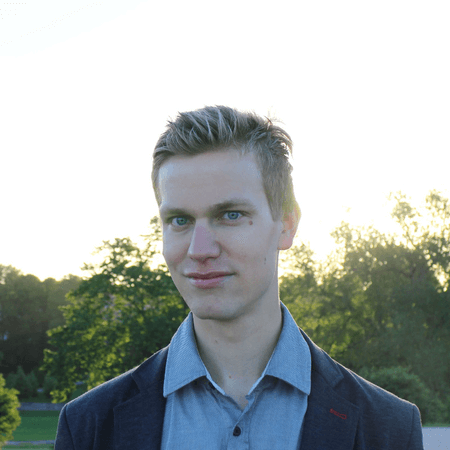 Hi, I'm Mikael, the face behind Scientific Triathlon! My goal with Scientific Triathlon is to give you the tools and resources you need to reach your triathlon goals, big or small. Whether you want to use triathlon as a vehicle to get in shape and lose weight, or you want to win your age group in a competitive race, the content you'll find on this website, including the Podcast and the Newsletter, can help. You'll find tons of valuable information on how to train smart and with structure to get the most bang for your training buck. How to avoid injury and overtraining to be able to train consistently without setbacks. How to avoid stagnation and break through performance plateaus. How to manage your training and balance it with your family and work commitments, and lots more. I am going to write my training plan for the upcoming year, and was looking for core training and a scientific approach to overall training. This was the twelfth site I visited in my search and it's the only one I use. Keep at it Mikael! What you have written makes a great deal of sense to me. I like that you suggest simplicity in the early stages of the program. I have spent some time on your site and am finding so much of it makes sense! I am VERY impressed by the amount of care and work you put into providing so much information and guidance to your viewership! By the way, if you're pretty new to triathlon, the right place to start is definitely to take my free video course on Effective Triathlon Training. That's what Barry did, and what many other beginner triathletes have done with great results. Whatever your experience level, the Scientific Triathlon Newsletter is the place to be. I save some of my tips and articles exclusively for subscribers, so make sure to subscribe below. The feedback I've been getting from this exclusive group of readers has been amazing, so you definitely want to jump on the chance to get access to this additional resource. What makes Scientific Triathlon stand out among other triathlon sites is the quality of the content. You won't find many 500-word articles or ad-hoc valueless emails here. When I cover a topic, I do it properly. The same goes for the podcast. The episodes are highly structured, well-researched, and each and every one of them takes me hours and hours of hard, focused work to prepare and create. And that shows in the feedback. So mark Mondays and Thursdays in your calendar as "Podcast day". What I don't want happen is what happens on the large majority of website most of us frequent. We consume the content and forget about it five minutes later. I want you to really be able to apply the things you learn in your own triathlon training. So the content is structured and designed to give you a complete understanding, while still being actionable and practical. What a great concept for a website! I like how comprehensive and in-depth the articles are. Mainstream triathlon media don't offer anything like that. Because of this focus on quality, my articles have been featured in many popular triathlon magazines and media outlets like Triradar, Beginner Triathlete, and others. Finally, I just want to say that Scientific Triathlon is not about me, it's about you. If there's any topic you think I should cover in one way or another, let me know right away. 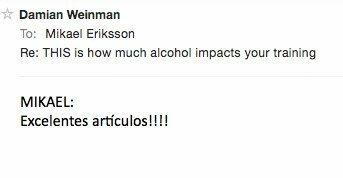 Some of the most valuable content around here has resulted directly from reader feedback. Thank you for being a Scientific Triathlon follower. I look forward to getting to know you! My name is Mikael Eriksson. I'm a Swedish-speaking Finn living in Lisbon, Portugal. I'm an ambitious triathlete a certified triathlon coach. My life revolves around helping age-group athletes get the best out of themselves. My background is in physics and medical engineering (hence the love for a scientific approach to training and the name Scientific Triathlon), but since October 2017 I'm coaching full-time. I've been an endurance sports fanatic for many years, with road running being my main focus at first. As happens, I got injured from trying to push myself to faster and faster times. A bad case of chronic knee injury. I didn't want to lose all the endurance I had built up, so I took up swimming and cycling in April 2015. ​I had some very minimal road cycling experience at that point. As for swimming, although I could probably have gone the distance for a 1500 m swim, I had absolutely no technical ability and was horribly slow. ​Luckily, I made a really good decision right from the start and immediately started working privately with a swim coach. She helped me to constantly improve my swimming and get faster, and even though my swim is still a work in progress her guidance accelerated the learning curve massively. To this day I work with a swim coach, but down in Lisbon with a triathlon squad. 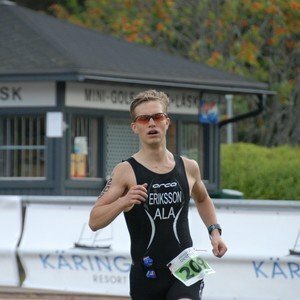 In the summer of 2016, just a little bit more than a year into my triathlon career, I sprinted my way to a top-10 finish in the sprint-distance nationals. While satisfying, I still wanted more. So to help me with that, I decided to do a repeat of the excellent decision that helped me so much when I learned how to swim: get a coach. That helped me to repeat the result in the summer of 2017 at the much more competitive Olympic distance nationals. And its a key aspect of my pursuit of a big dream - can a complete nobody with no genetic gifts for endurance sports and lacking a long background of training one day become a professional triathlete? Scientific Triathlon is my passion project. It's where I share what I've learned and am still learning every single day to help you be a better triathlete. Make sure to follow Scientific Triathlon on Twitter and Facebook. I'm always happy to engage with followers on social media, so don't be shy! Also, this will allow you to stay on top of new content on the podcast and blog so you don't miss any opportunity to train smarter and race faster. See you on social!